Last week, Hurricane Florence quickly grabbed the headlines from a major sporting event happening right here in Western North Carolina. 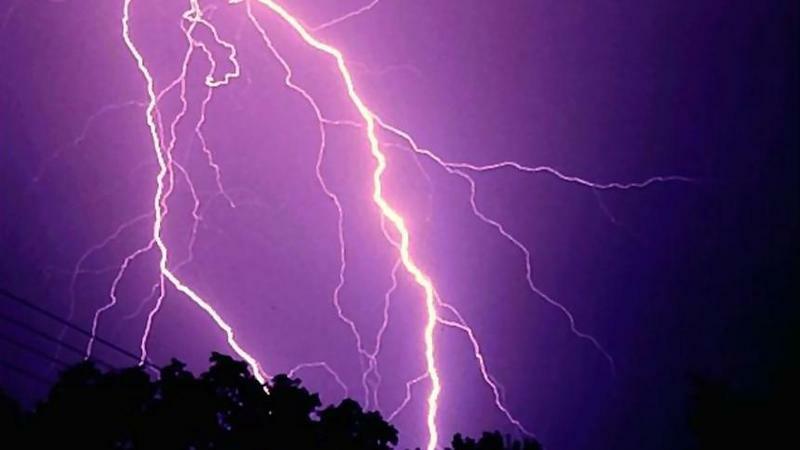 The World Equestrian Games kicked off just as the storm was moving towards the coast. After a short delay earlier this week, the spotlight is once again shining on the Tryon Equestrian Center. 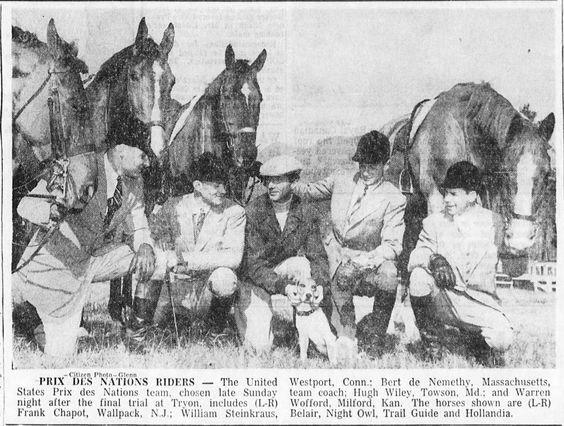 But as Helen Chickering reports, the real horse story is down the road. 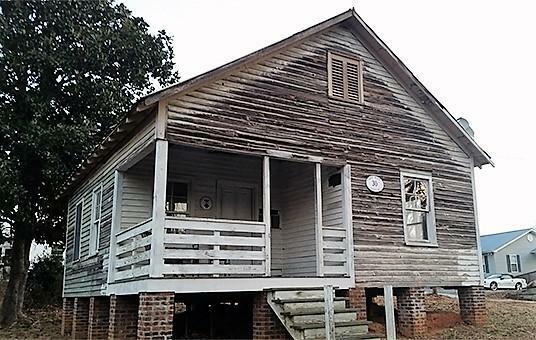 The Tryon birthplace of singer, song writer and Civil Rights activist Nina Simone has been named a “National Treasure” by the National Trust for Historic Preservation. The nonprofit is teaming up with the four New York City artists who bought the small wooden cottage in 2017. The organization will devise a plan to rehabilitate the house so that it might be used by future artists. Federal officials say treatment is underway to clean up contaminants at the former CTS Corporation factory in Asheville. Below is the news release from The U.S. Environmental Protection Agency. 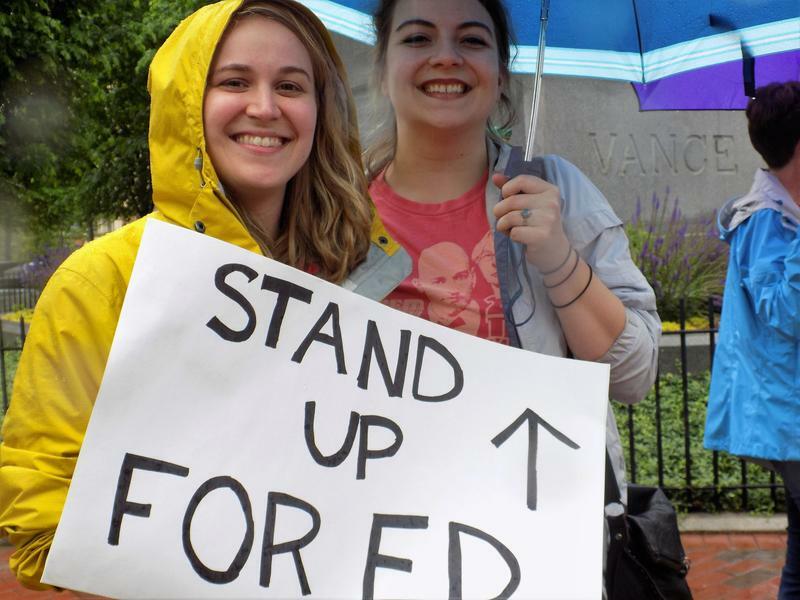 Among the thousands of teachers who filled the streets of North Carolina's capital Wednesday, were hundreds of educators from Western North Carolina. Many who were unable to make the trip to Raleigh attended satellite rallies, including one in Asheville. A one of a kind dog shelter has opened its doors in Buncombe County. The American Society for the Prevention of Cruelty to Animals, ASPCA – unveiled its new Behavioral Rehabilitation Center in Weaverville. The Center is the first-ever permanent facility dedicated to the rehabilitation and study of fearful, anxious – often unadoptable dogs. Most are the victims of cruelty or neglect. BPR’s Helen Chickering reports. If you visit a National Park, there’s a good chance you’ll cross the path of a ranger who was trained right here in Western North Carolina. 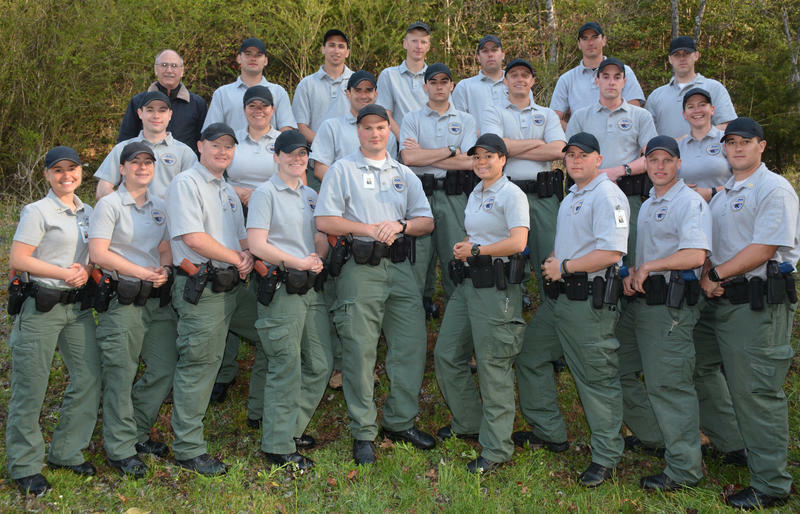 Southwestern Community College in Sylva is one of only seven colleges in the nation that offers the National Park Service Seasonal Law Enforcement Training Academy. The program is one of the oldest in the country and just graduated its 100th class. BPR’s Helen Chickering visited the academy while school was still in session. March 14 is National Pi Day, a time to celebrate the mathematical constant, 3.14 and a good excuse to eat pie. 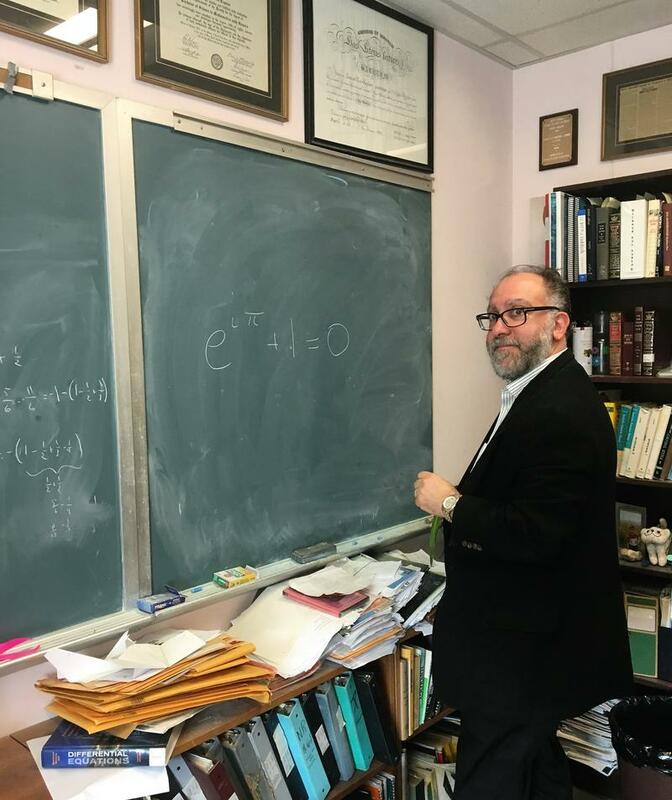 BPR’s Helen Chickering talked with UNCA Math Professor Sam Kaplan about why the irrational number deserves its own day, why math intimidates many of us, and his work in the community - outreach that uses math as a platform to help local students sharpen their leadership skills. 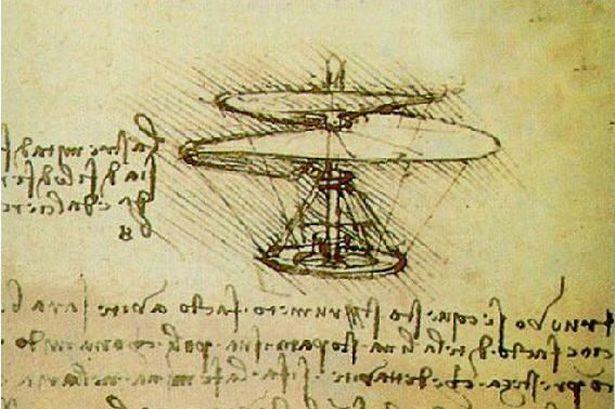 Leonardo da Vinci may be best known for his artistic masterpieces, but he was also an accomplished engineer and scientist. That mix of science and art helped inspire a local group of artists, scientists, teachers and citizens to launch the area’s first arts and science festival. BPR’s Helen Chickering caught up with one of the organizers, biologist Jason York. Asheville’s first Arts and Science Festival will be held on Saturday, March 31 from noon to 6 p.m. at the Salvage Station. The event is free and welcomes all ages. Climate City is just one of Asheville’s many nicknames. A local nonprofit is working to elevate that moniker to a new level. 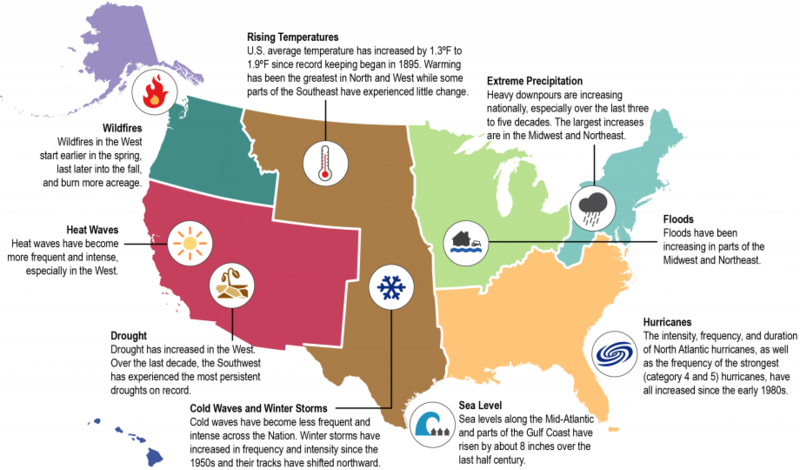 In March, the climate innovation center, The Collider, is kicking off ClimateCon 2018. The business of climate is the headline event of the conference that organizers say – has something for everyone. 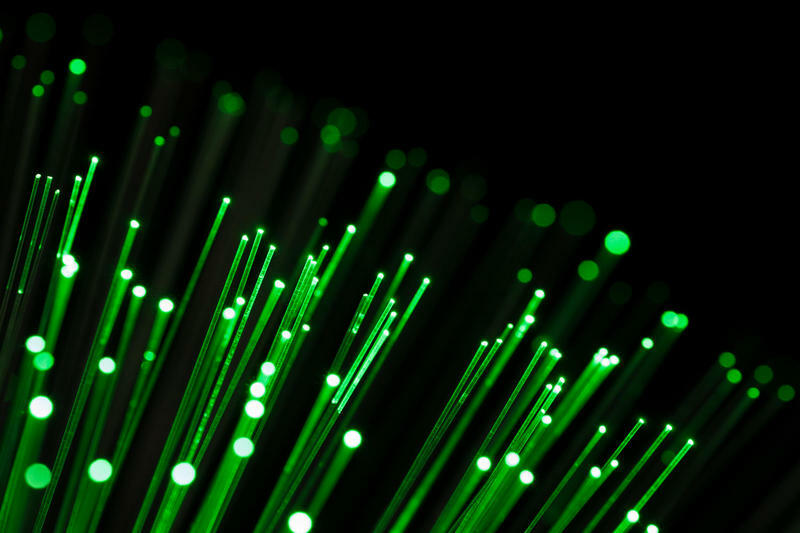 BPR’s Helen Chickering spoke with Megan Robinson, The Collider’s Executive director. The 2018 Fed Cup brings international professional tennis competition to Asheville Feb. 10-11 for the USA vs. Netherlands World Group First Round. 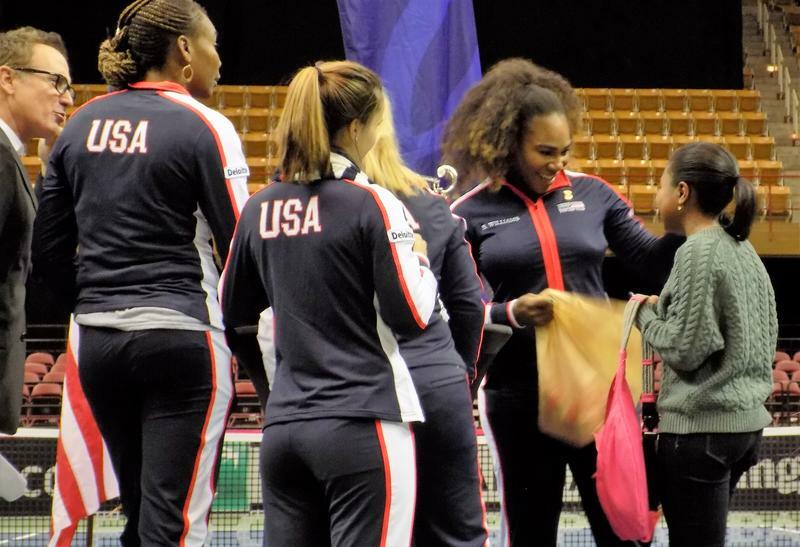 The weekend competition features tennis star Venus Williams and her sister Serena, who is making her debut after maternity leave and who, on Friday, made an Asheville teen’s dream come true. 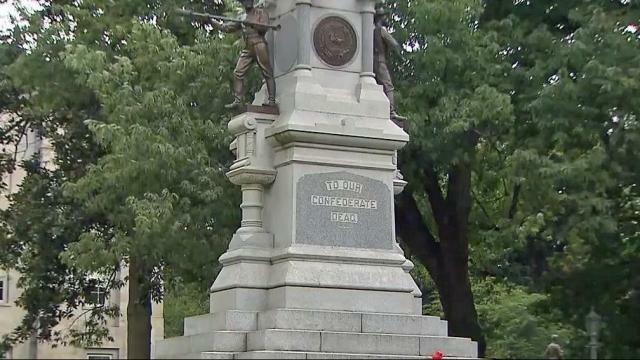 RALEIGH, N.C. (AP) — North Carolina state officials are asking for input from residents about a plan to relocate three Confederate monuments away from state Capitol grounds. Officials have established an online page to collect comments from the public about the relocation proposal. To comment on the plan: Click here. 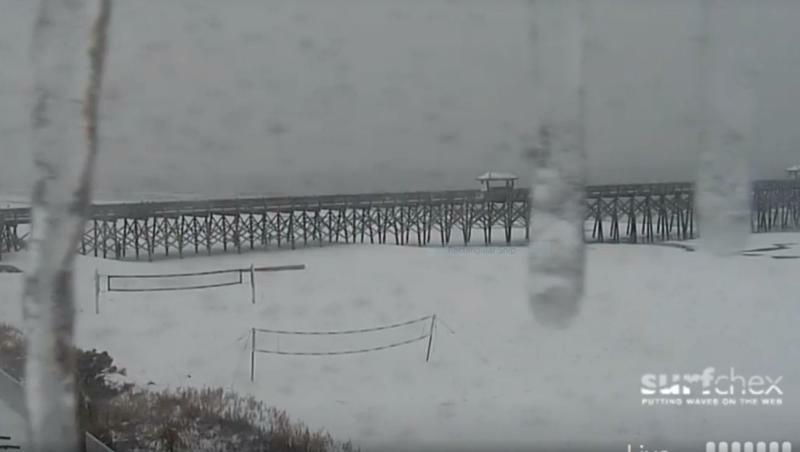 NC Beaches Get Blanketed. Wind Chill For The West. Governor Roy Cooper declared a state of emergency Wednesday afternoon for all eastern and several central North Carolina counties as the state braces for snow and sleet along with bitter cold. 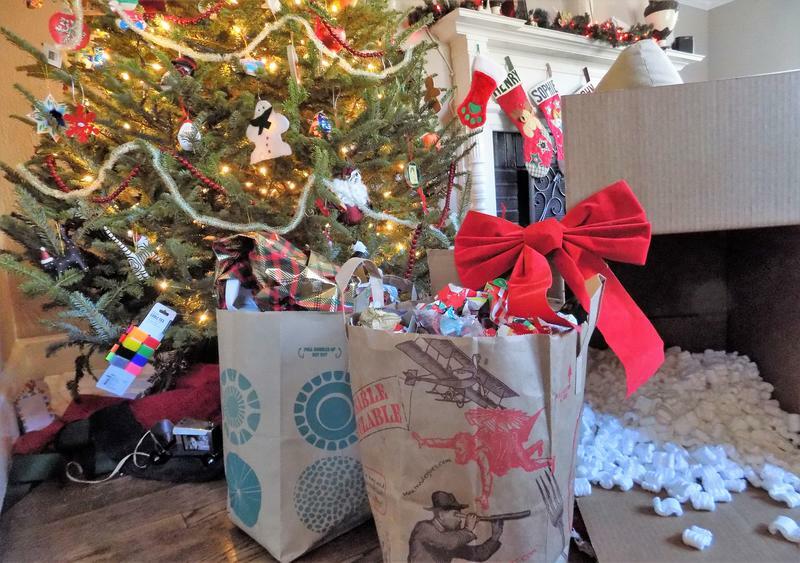 The post-holiday purge is underway as people rid their homes of boxes, wrapping paper and trimmings. Many of those items can go in the recycling bin, but not everything. 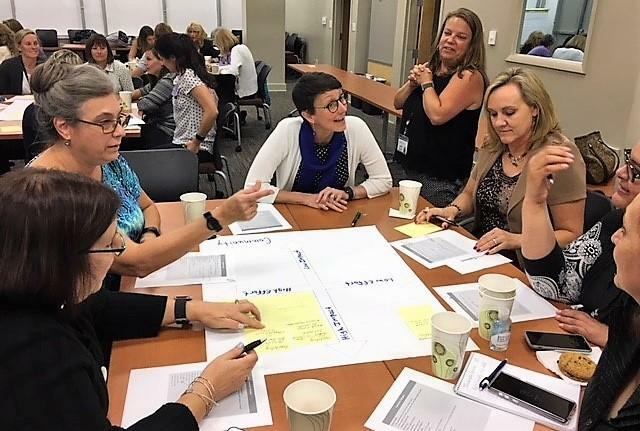 BPR’s Helen Chickering got some tips from Nancy Lawson, with Asheville’s Curbside Management. The TV show Shark Tank matches charismatic investors with fledgling entrepreneurs who are hoping to snag a business deal. 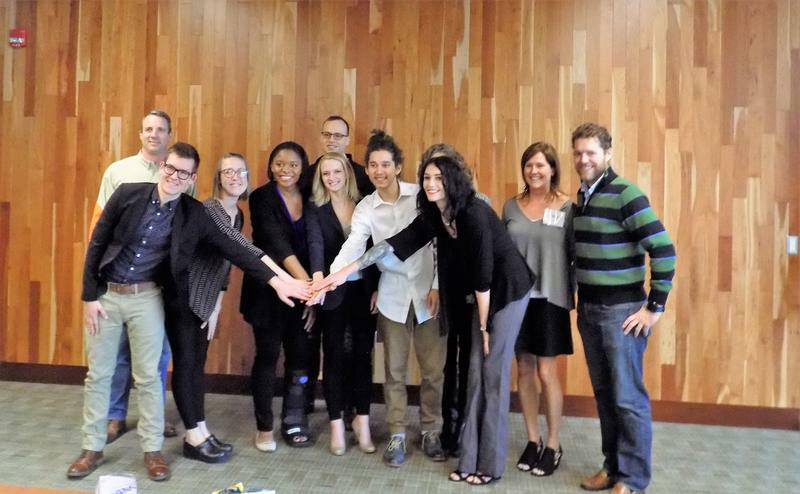 Earlier this month, some students at UNC- Asheville got a taste of the reality show experience. Blue Ridge Public Radio’s Helen Chickering has details. 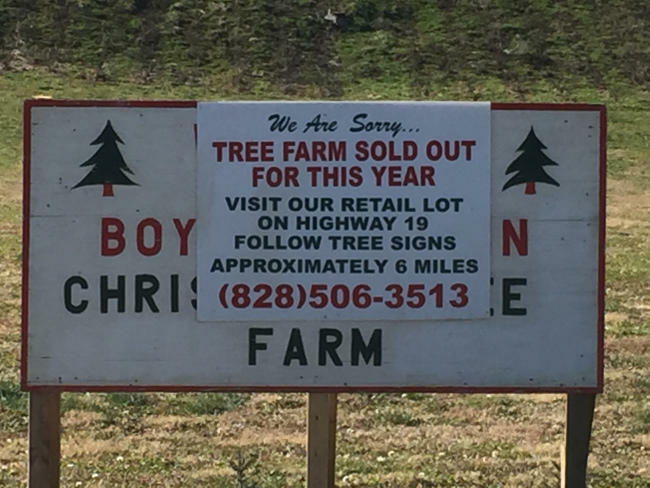 The holiday season is in full swing, and for many, that means it’s time to find a Christmas tree. Here in Western North Carolina, the experience is a bit like shopping for toys in Santa’s workshop. The region produces the majority of Christmas trees for the state and is the second biggest producer in the country. Author's Note: a link to the survey is provided at the bottom of the article. 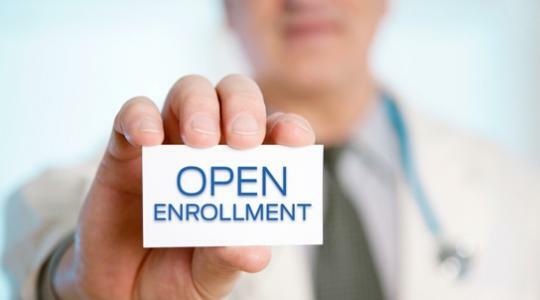 Open enrollment for health insurance under the Affordable Care Act begins today amid continued uncertainty over the fate of the health care law. Here in Western North Carolina, the recent split between Blue Cross and Mission Health adds another layer of confusion and stress for consumers. 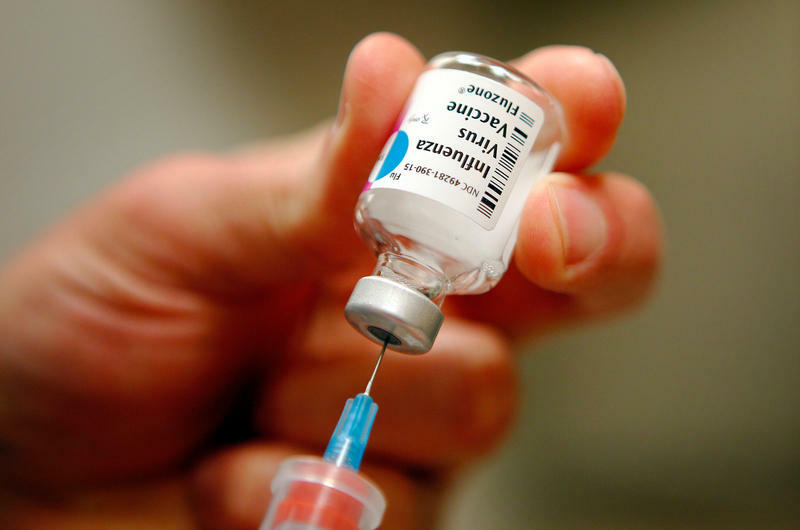 The flu season is officially here and the first report from the state health department, shows just under ten cases have been confirmed in North Carolina. 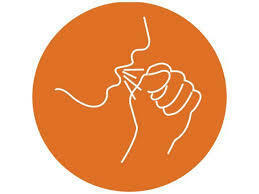 But health officials say that could quickly change and they are urging people to get vaccinated. Click the 'listen' button to hear about boiled peanuts. The music featured in this piece was performed by Johnny Cash and Burl Ives, and is titled "Goober Peas"--which is a song about how delicious Civil War soldiers considered peanuts to be. North Carolina is the fifth largest producer of peanuts in America, yielding in upwards of 200,000 tons every year. Not a single one of them are actually grown in the mountains, but plenty of them make their way to the region nonetheless—where they’re often boiled into a distinctly southern snack sometimes called "Dixie Caviar". 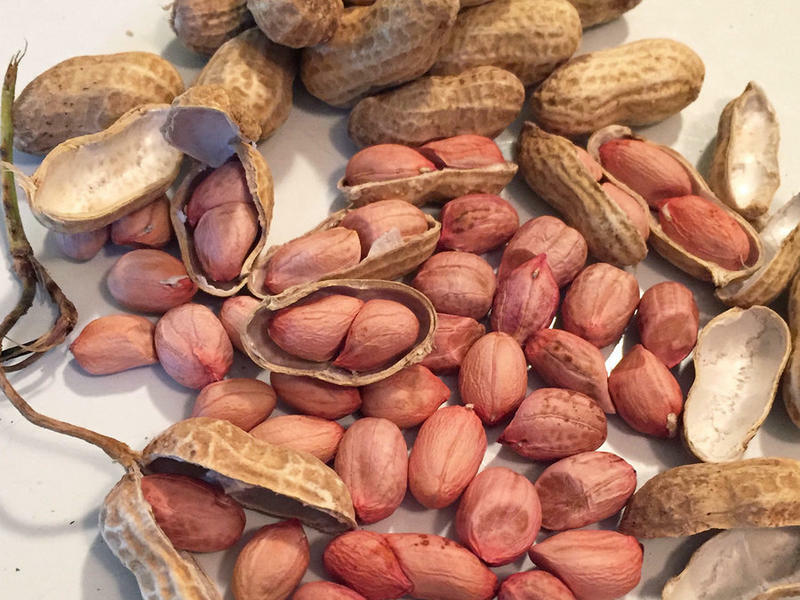 BPR News's Davin Eldridge takes a look at the history of boiled peanuts in the South, and their impact on mountain culture. As of Thursday, Mission Health says its contract with Blue Cross has expired and "essentially all Mission Health physicians and facilities are now out-of-network providers with Blue Cross and Blue Shield of North Carolina." 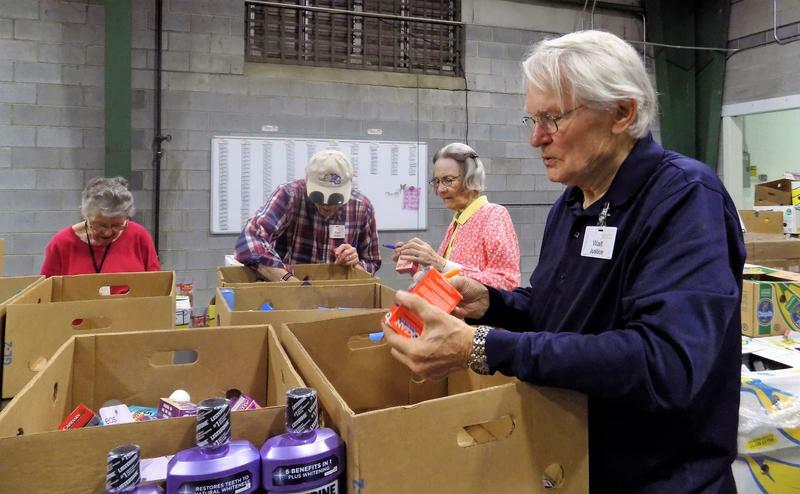 MANNA Foodbank is partnering with several organizations in Buncombe County for a hurricane relief drive. BPR’s Helen Chickering has details. 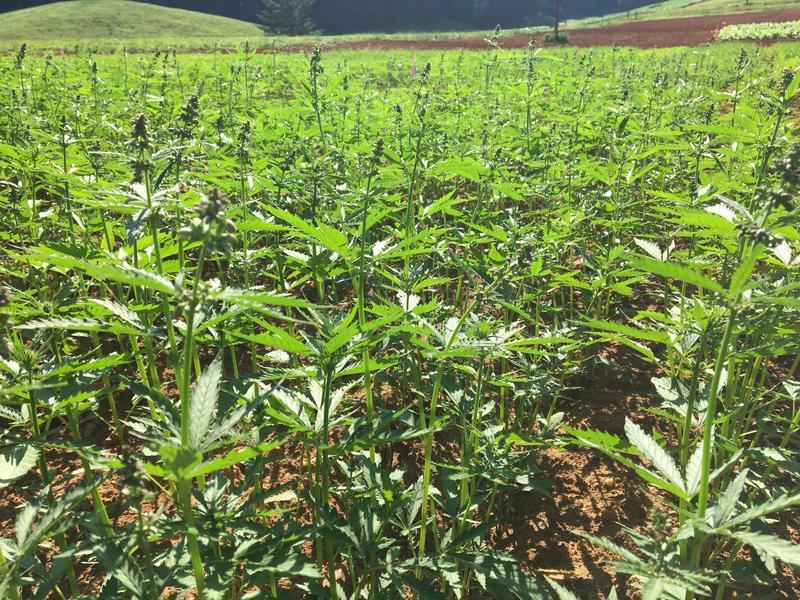 Hemp, Hops and Truffles – sounds like an ingredient list for a new craft beer All three are being studied as potential alternative cash crops here in Western North Carolina. BPR's Helen Chickering takes us on a field trip to the Mountain Research Station in Waynesville. Click the 'listen' button to hear about Governor Cooper's visit to WNC! After cutting its way through the South, Hurricane Irma left a large swath of devastation in its wake in Western North Carolina. 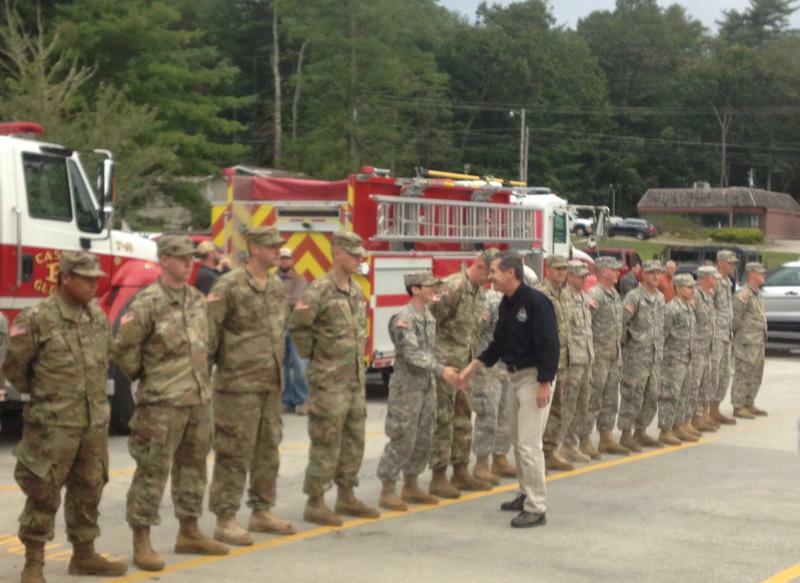 On Wednesday Governor Roy Cooper toured a part of the region hit particularly hard by the storm. BPR's Davin Eldridge was there. 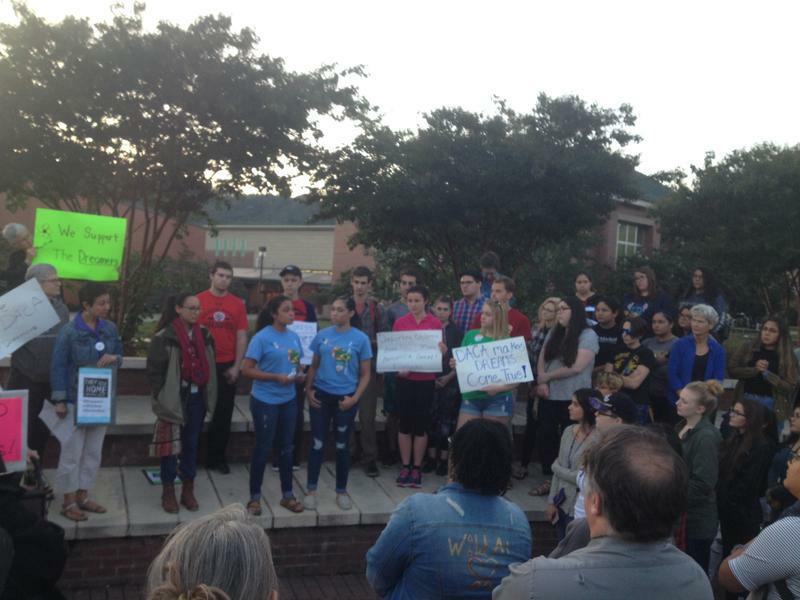 Well over a hundred demonstrators, mostly students, turned out to protest the administration’s decision at Western Carolina University. They made their objections heard next to the college’s so-called Fountain of Wisdom, in the center of campus. The crowds chanted "si se puede". The great American Eclipse is over. For most, it was an amazing experience. But for a Macon county man, the astronomical event was a mile marker on a life changing journey. BPR’s Helen Chickering stumbled upon his story while on an eclipse assignment at Southwestern Community College in Sylva. 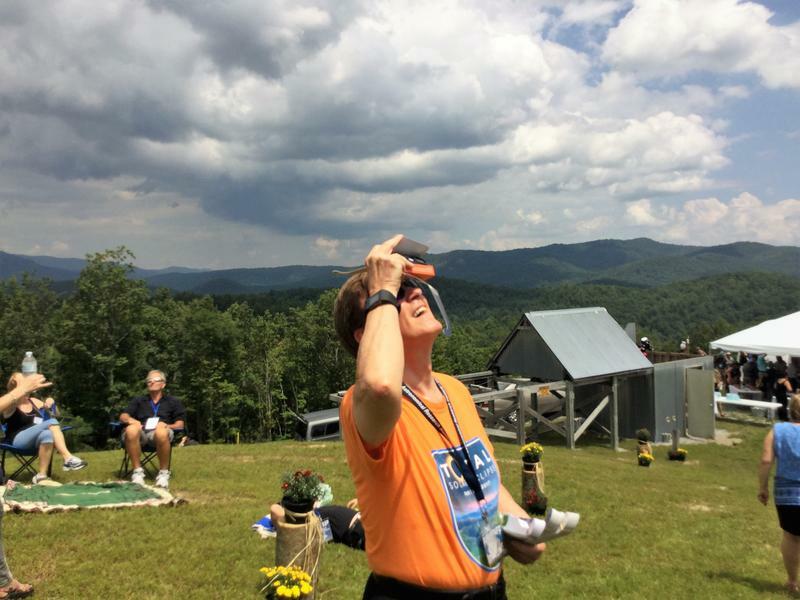 A few clouds didn't dampen eclipse spirits or science at Pisgah Astronomical Research Institute in Rosman. 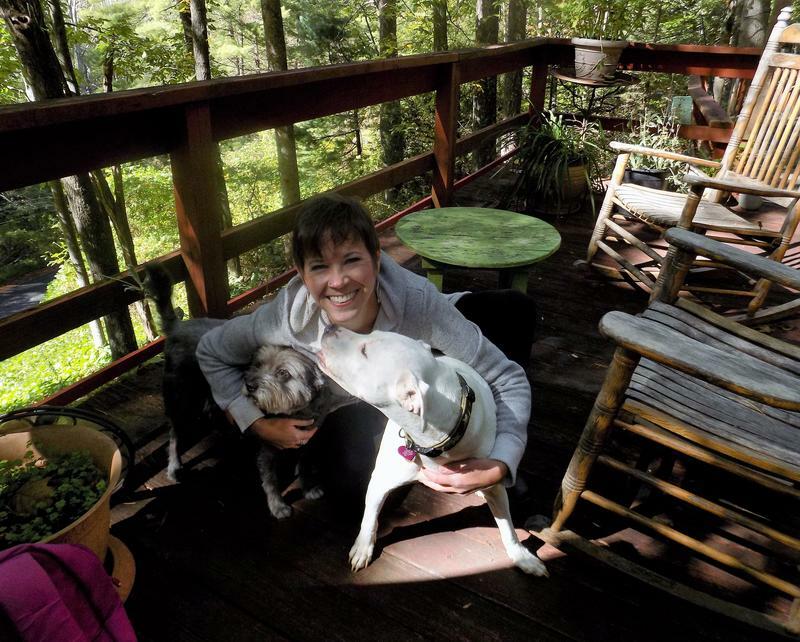 Blue Ridge Public Radio's Helen Chickering has highlights. The August 21st Great American Solar Eclipse was one of the most watched and studied astronomical events in history. Western North Carolina was a great place to do both. 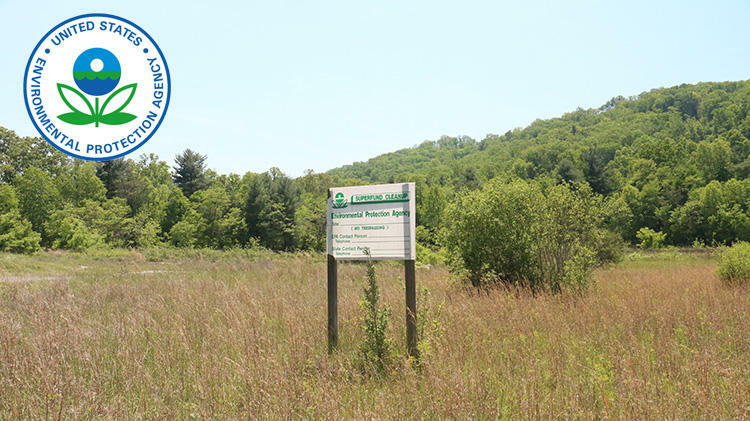 BPR’s Helen Chickering spent the day at the Pisgah National Research Institute in Brevard. The former NASA tracking station was in the path of totality and hosted a day of stellar science for the public.